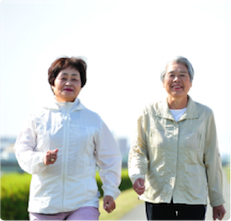 After completion of the 12-month walking program in 2013, participants self-reported positive health outcomes such as lower blood pressure, fewer medications necessary, weight loss, and better mental health. To increase the number of adults in their community who are meeting the PAG recommendations, Sumter County Active Lifestyles (SCAL), a nonprofit organization in Sumter County, South Carolina, works with local government, community organizations, schools, and neighborhood associations to provide safe places for residents to be physically active. In 2012, SCAL collaborated with the University of South Carolina Prevention Research Center to implement Sumter County on the Move! (SCOTM! ), a 12–month community–based research project to promote more adult physical activity. SCOTM! encourages adults in the community to form walking teams from their existing social networks. Members of the team motivate each other and are encouraged to walk together when possible. The program is based on a review of literature related to social support and health behavior change, particularly among low–income and African American communities.ii, iii In addition, SCAL conducted a series of focus groups with potential participants to learn more about barriers and facilitators to walking for physical activity, as well as to gather recommendations on an effective structure for a walking program. Once walking groups are formed, a team leader is appointed. SCOTM! provides specialized training for these team leaders that includes strategies for staying motivated and keeping team members motivated, tips for overcoming common barriers, health and safety information, and walking resources in their community. All participants are given pedometers with tips for increasing daily physical activity, and maps of walking trails in the community. SCAL staff have regular contact with walking team leaders and have established a recognition program to acknowledge participants’ achievements, including support from local media outlets. Many of the 278 SCOTM! participants have self–reported improved health since completing the program. After completion of the 12–month walking program in 2013, participants self–reported positive health outcomes such as lower blood pressure, fewer medications necessary, weight loss, and better mental health.iv Further quantitative evaluation is planned using a quasi–experimental pretest–posttest design, which will evaluate attitudes and perceptions and include physical activity assessments through 7–day accelerometry. Given the positive feedback from participants in the research phase of SCOTM!, SCAL has developed a second phase of the program — SCOTM!...still moving. This new phase, implemented in 2014, builds on the preliminary success of and positive response to the SCOTM! research project and is offered over a shorter period of time to help community members adopt healthy and active lifestyles. ii Caperchione CM et al. Physical activity behaviours of Culturally and Linguistically Diverse (CALD) women living in Australia: A qualitative study of socio-cultural influences. BMC Public Health. 2011;11(26). doi: 10.1186/1471-2458-11-26. iii Leahey T et al. Effect of teammates on changes in physical activity in a statewide campaign. Preventive Medicine. 2010 July;51(1). To promote physical activity by sponsoring projects that encourage people of all ages to become more physically active, whether by walking or biking, healthy people make healthy communities.